Airbnb is testing a major new offering: taking care of booking your entire trip, so you can experience a new city with locals showing you around. We’re reinventing travel—again—and we’d love you to be a part of history. During the first two weeks of December, we’re piloting a new Airbnb experience: handcrafted trips. We’re extending a limited number of invitations to friends of friends and travelers who are excited to explore the city of San Francisco in an entirely new way – with the locals who live here. 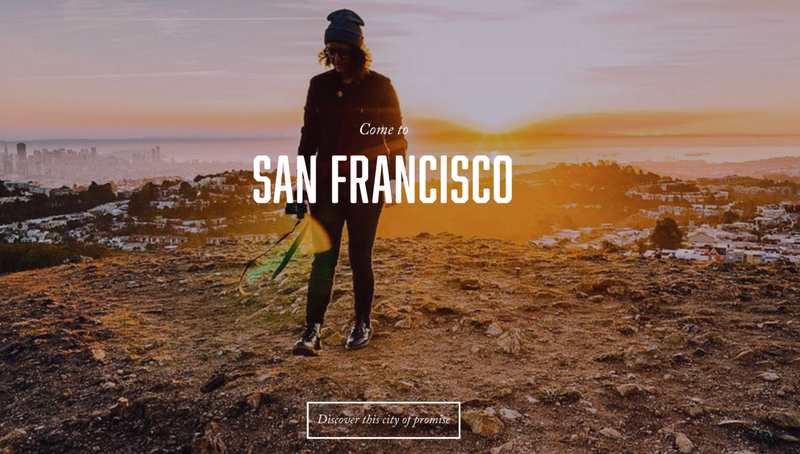 It invited those users to test its new Journeys service which touts “handcrafted trips” to cities around the world, starting with San Francisco, offering adventures in the city organized by Airbnb for a flat fee. For those who got the beta invite, Airbnb is offering 3 or 5 day excursions based on their interests. Three options appeared during the pilot that focused on exploring San Francisco’s natural treasures (offering hiking and exploring the scenery), a foodie focused trip (including on the best restaurants and other eats) and a ‘Mission locals’ trip that promises a tour of the city’s hippest spots. Each Journey offers ‘curated excursions’ such as hiking to Lands End in San Francisco, or a tour around the Mission district. On top of that, Airbnb pays for one meal a day while on your pre-organized adventure, a Lyft ride from the airport and Airbnb lodging picked out for you. The experiences listings are created by hosts on Airbnb and picked by the company on your behalf. According to a draft terms of service, they can include outdoor activities like hiking, biking, kayaking and sailing, foodie dinner parties at favorite local restaurants in San Francisco, tours of favorite craft cocktail bars, catered/take out lunches or picnics, wellness activities such as yoga, meditation and more. Airbnb specifically offloads the liability for the experience to the guest and host, saying the contract is made between them and not the company. It also says that hosts may make you sign a liability waiver for more extreme activities, such as skydiving. For an individual, the trip to San Francisco during beta costs $500 and for two it’s $750, which is fairly good value considering what’s included. Strangely, the price for three day and five day trips is the same, though that may be a quirk during the beta. Airbnb previously offered an in-app concierge service that had similar functionality, encouraging you to connect with locals to see concerts or go hiking but it didn’t launch widely. The company is best placed for offering these types of ‘intimate’ experiences with locals and already allows hosts to sign up for offering experiences on its site, a feature it’s toyed with in the past. If Journeys launches widely, the company may eventually have a compelling alternative to visiting a travel agent so you don’t need to think about your trip at all. Journeys is only available to those explicitly invited to try the service right now and pointed out in the invitation that the service is only in testing right now and may not roll out wider. There’s always a chance it never sees the light of day, just like the concierge service, though it does show a very interesting new area the company may expand into soon: taking the stress out of your whole trip, so you can live like a local. We reached out to Airbnb for comment on the new Journeys feature but the company hadn’t responded with comment at time of writing. We’ll update when we hear back.